Townhome community is tucked away but close to everything! 3-story unit features a 1st floor bedroom w/ full bath & separate entrance that could be guest suite or study. 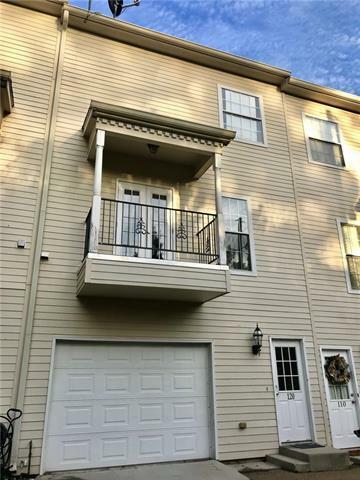 2nd floor boasts kitchen with granite counters, dining, living, half bath, laundry & balcony. 3rd floor has two bedrooms each with its own bath. Master bath has separate shower. Spacious balcony off living room. Attached garage. Community pool & cabana - lovely greenspaces! Listing provided courtesy of Lisa S Von Eberstein of Gardner, Realtors.